When 68-year-old Mark Thompson* walked into a private clinic on the outskirts of Monterey, California, $8,000 in hand, he had one hope in mind: to leave the clinic feeling physically and mentally back in his prime. The treatment? A single two-liter dose of plasma — the watery part of blood with all the cells removed — collected from anonymous young adult donors aged 25 and younger. Thompson is one of the 30 healthy elderly adults who have accepted a hefty price tag to participate in a pay-to-play anti-aging clinical trial. The brainchild of Dr. Jesse Karmazin, a DC-based physician and entrepreneur, the trial hopes to use the blood of the young to battle aging — and anyone older than 35 is welcome to try it out. If that all sounds crazy, you’re not alone. 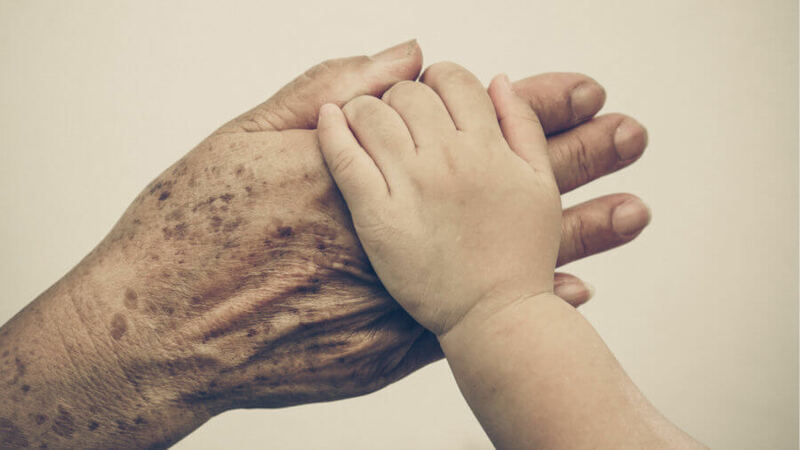 But a barrage of high-profile studies from the past five years is building compelling evidence to suggest youthful blood can turn back the aging clock and restore functions in multiple organs, at least in mice. Karmazin’s startup Ambrosia — Greek for “immortality” — is betting on the chance these early results might translate into a human anti-aging elixir. Since 2016, working with Dr. David Wright who runs an intravenous therapy clinic in Monterey, Ambrosia has been steadily pumping single doses of donor plasma to those willing to pay. Ambrosia’s trial is controversial, to put it mildly. Its requirement for patients to pay, though legal, have struck many as ethically dicey. Some have even gone so far as to condemn the trial as a cash grab, similar to the boom of unauthorized stem cell clinics that prey on people’s hopes but make good business. Meanwhile, researchers in the aging community worry Ambrosia is catering to our youth-obsessed culture at the expense of scientific integrity. Although promising, the science that inspired Karmazin simply isn’t ready to justify a human trial. The first signs that the blood of the young may be rejuvenating came from a weird, vampiric experiment called parabiosis, or “parallel living.” In parabiosis, researchers surgically stitch together the circulation of a young animal with that of an older one. Within a month, the mice heal and learn to live their lives as part of a whole. Since their blood is fully mixed, each mouse becomes a blood chimera, receiving roughly half of its blood volume from its partner. In the 2000s, a team at Stanford noticed that when bathed in young blood, an old mouse’s brain seemed to shed half its biological age. In a part of the brain called the hippocampus, which is crucial for learning new things and forming memories, young blood brought on a second spring, coaxing the brain region to produce more neurons — something that precipitously declines with age and is linked to failing memory. Young blood also invigorated aged neurons, so that they were more eager to form strong connections when learning something new, a process crucial for establishing new memories. What’s more, the team later discovered that injecting plasma collected from young animals — eight times over a period of a month — also reaped the benefits of young blood, although not to the same degree. Nevertheless, since stitching up two humans isn’t exactly doable or marketable, the study suggested a way to use young blood on our aged elderly in the future — namely, plasma transfusions. Since then, young blood has emerged as an elixir of youth, rejuvenating muscle, skin, spinal cord, heart and multiple areas of the brain (again, only in animal trials to date). Further work has even uncovered components in plasma — so-called “pro-youth factors” — that bear the grunt work of the de-aging process. That’s not to say everyone is in agreement when it comes to blood-based anti-aging treatments. A protein called GDF-11, for example, was hailed as a muscle rejuvenator in 2013 but refuted by later studies (which, in turn, were given a scientific smack down by the original team). Late last year, a surprising study reported that a single transfusion of young blood had no apparent effects on the aged brain, although their treatment regime was different to the original Stanford study. These controversies highlight why Ambrosia’s trial — however well intentioned — may be jumping the gun. For one, it’s still unclear how a single plasma transfusion could recapitulate the effects of a conjoined circulation, or as in the case of later studies, eight transfusions over the span of a month. For another, Ambrosia’s trial is open label, in that every participant gets the treatment. In other words, there is no placebo-control group. Karmazin argues that because patients pay to participate, it would be unethical to give half of them placebo. The study is longitudinal, he says in an email to Singularity Hub, in that they compare before and after. However, without proper placebo controls, it is impossible to judge whether self-reported feelings of improvement are due to the treatment or simply wishful thinking to justify the hefty price tag. Ambrosia also plans to measure 100 blood-based biomarkers related to organ function and physiology to establish objective endpoints for their trial. But as of now, there’s no scientific consensus on which markers correlate with age, and blood biomarkers are notoriously finicky — many change with something as mundane as a bad night of sleep or a large meal. Yet Karmazin strongly believes he is offering a service that helps the elderly and may eventually contribute to anti-aging science. The patients who received younger blood had lower mortality, explained Karmazin, which gave him the confidence that the treatment should work. As of now, those results are not yet published. When asked his reasoning for acquiring funding from patients, Karmazin explained that because plasma is an FDA-approved drug and can’t be patented, it’s difficult to attract the interest of pharmaceutical companies. “Many other already approved drugs have been studied in patient-funded trials for similar reasons,” he explains. So far, Ambrosia has treated 30 people, with several “at the younger end of the range and they have reported improvements,” says Karmazin. And the testimonials are certainly impressive. But without rigorous scientific backing, anecdotes, however intriguing, are just stories. And there are risks. Although Karmazin insists that plasma treatments are “extremely well studied and very safe,” researchers aren’t so sure. Because young plasma activates stem cells, there’s the risk of over-stimulating them into runaway growth — in other words, cancer. However, at the moment the concern is theoretical: no animal study has observed any indication of tumor formation after young blood treatment, and neither has plasma infusion in humans, which occur millions of times in the US every year. Mice that undergo parabiosis can also die, with the cause of death still unclear. Ambrosia’s not the only one hopping on board the blood therapy train. Alkahest, a startup founded by the Stanford team that did the original parabiosis studies, is recruiting 18 patients with Alzheimer’s disease to see if young blood can help. Since 2014, Alkahest has treated 6 patients in a randomized, placebo-controlled, double blind trial, while continuously monitoring their disease symptoms with brain scans and other tests. Another Stanford trial, established late 2016, is looking into the safety of young plasma transfusions in patients with Parkinson’s disease. Halfway around the globe, Chinese scientists are in the early stages of testing whether young plasma is protective against stroke. In the quest to reverse aging, we’ve seen enough lucrative markets that “emerge on a slender foundation of credible work,” and a healthy dose of skepticism is justified. But there’s cause to be hopefully optimistic. While Ambrosia’s trial comes with caveats, the idea of young blood as a therapy is only beginning to thrive — in the scientific community and beyond.